Technological change continues to influence life and work on campus and beyond. 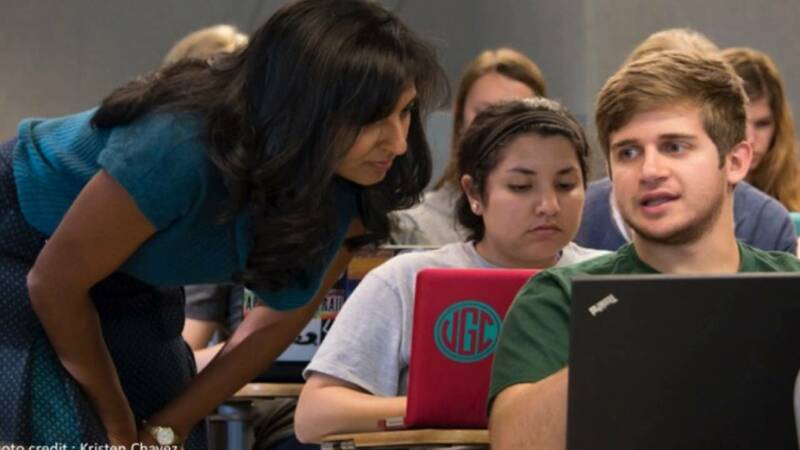 UNCCH instructors are using technology to explore new opportunities to engage students, to lower barriers to student access, and to make their own teaching practices more satisfying and effective. The Center for Faculty Excellence (CFE) works with faculty members to explore the appropriate and effective use of digital technologies, in partnership with other campus organizations such as ITS-Teaching and Learning, OASIS, and University Libraries. In 2017, Lenovo decided that CFE would receive approximately $400,000 over the next four years to support instructional innovation on campus. The funding is part of the University’s renegotiation of the Carolina Computing Initiative contract with Lenovo. As a result, CFE announced a competitive grants program in 2017 and made the initial round of awards in 2018-19 (see list below). The 2019-20 Call for Proposals is now CLOSED. Interested faculty or staff had to submit a brief Letter of Intent/online application by February 18, 2019. A Review Committee then reviews applications to ensure that project ideas fit within the scope of the program and that proposed technologies can be supported properly. Applicants will be notified by March 4 whether or not to proceed with a full proposal which will be due on April 1, 2019. Please contact Doug James at doug.james@unc.edu or 919-966-4838 with any questions. The 2018-19 CFE/Lenovo Instructional Innovations Grants Program funded the following projects. A description of these project summaries can be found here.